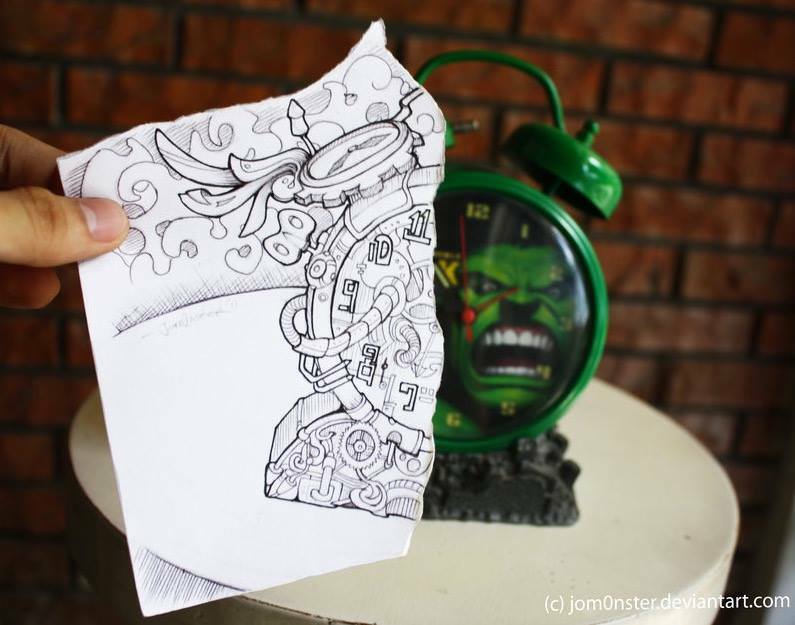 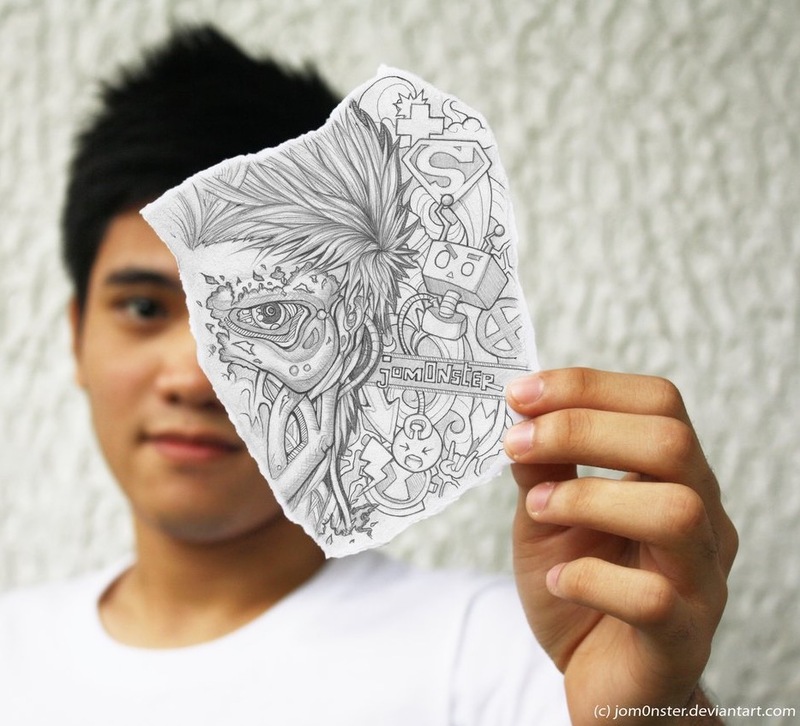 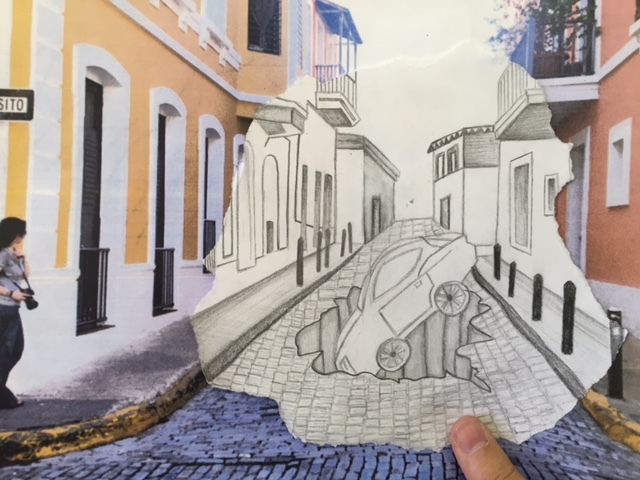 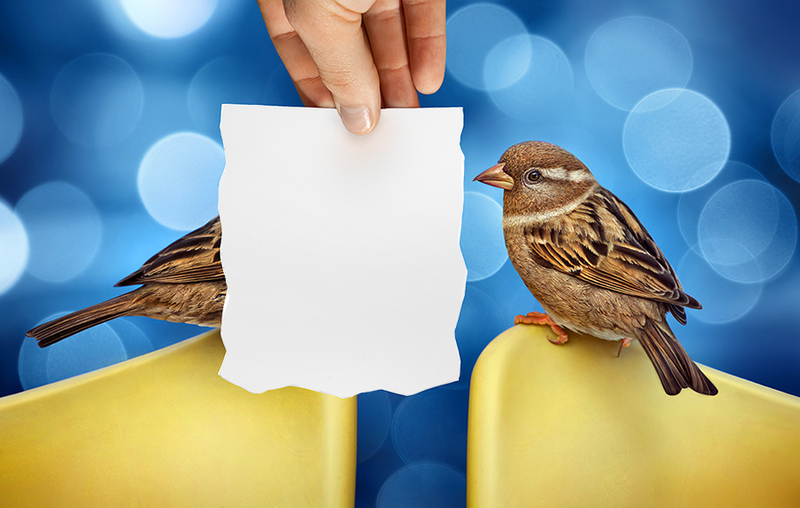 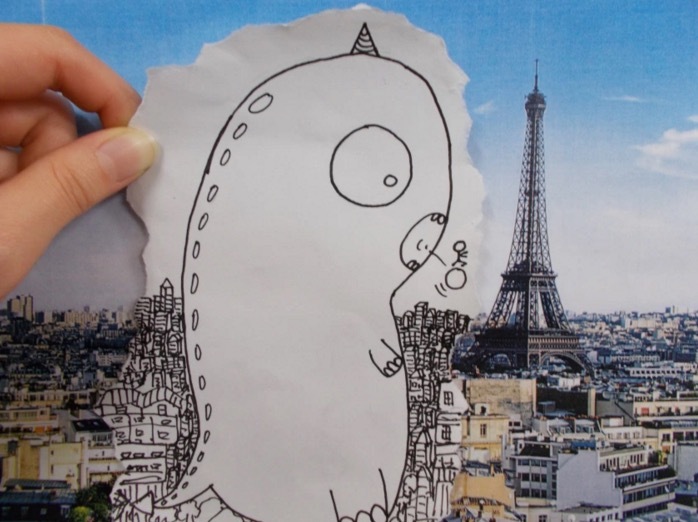 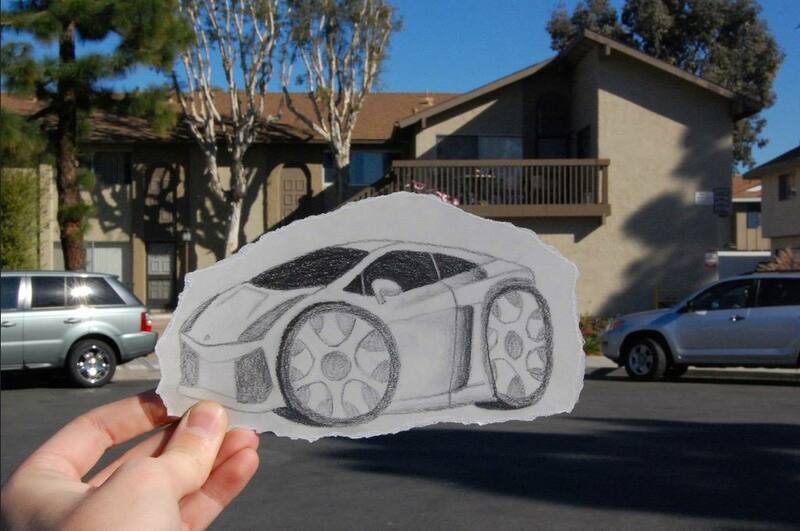 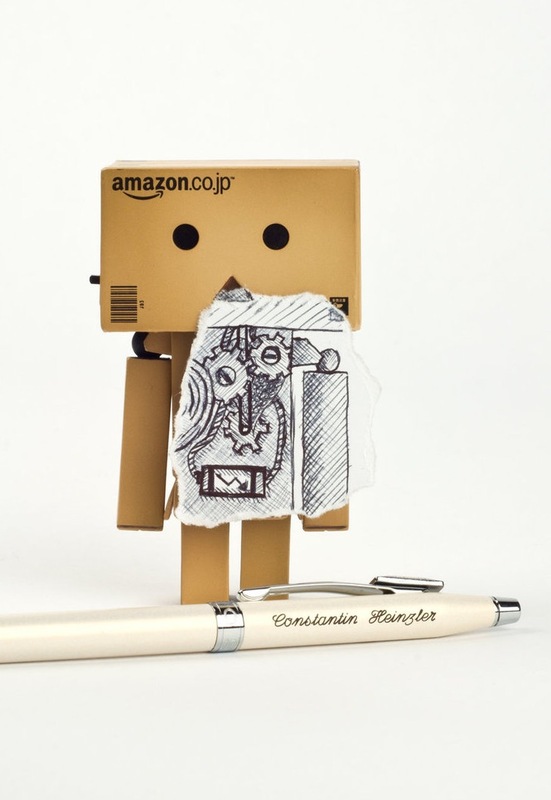 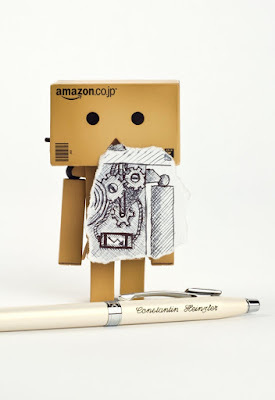 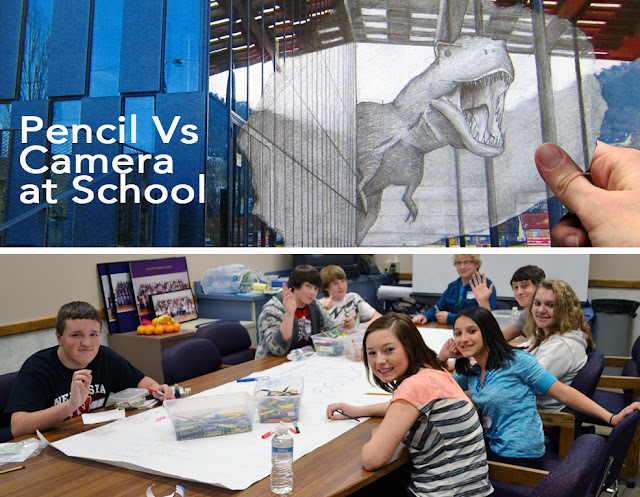 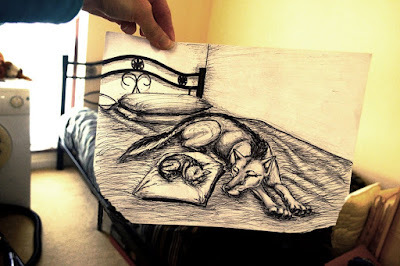 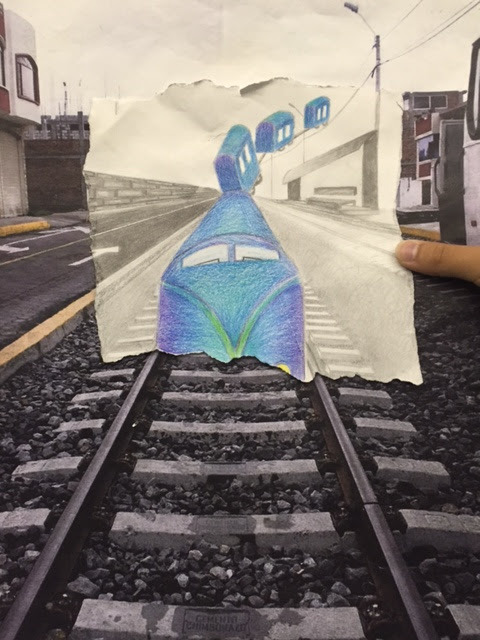 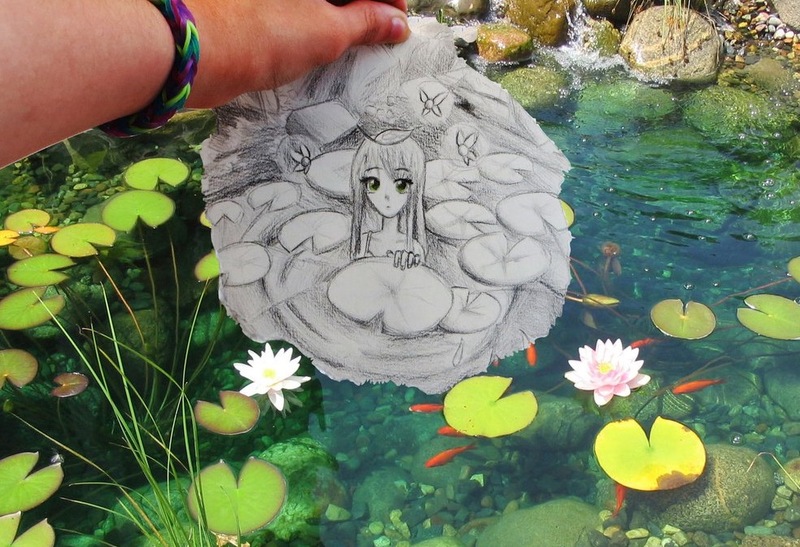 Since 2013, Ben Heine's Pencil Vs Camera concept has become popular in primary and secondary schools worldwide. 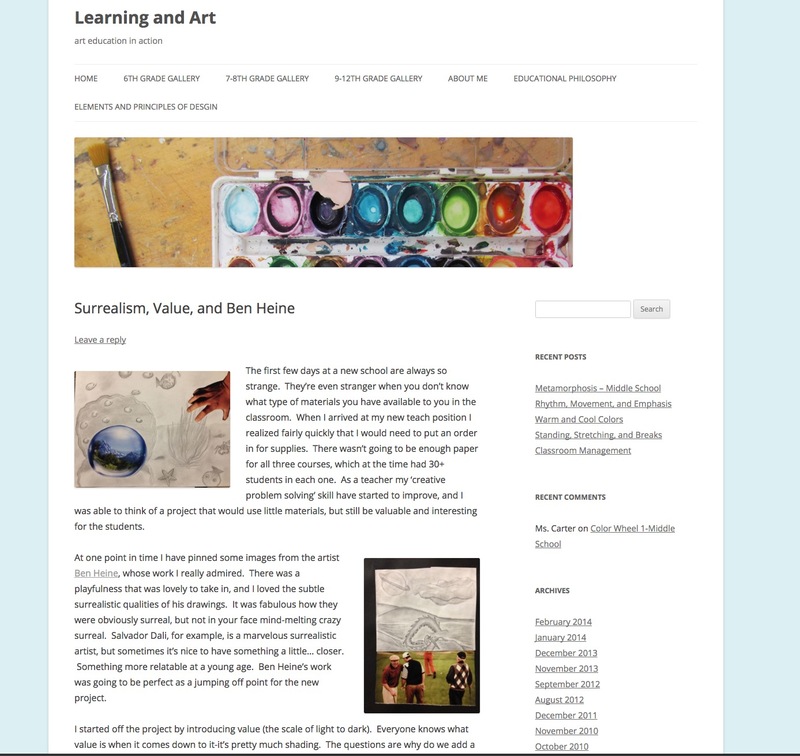 Heine was quickly contacted by art teachers and schools requesting to use and teach his techniques to their students. 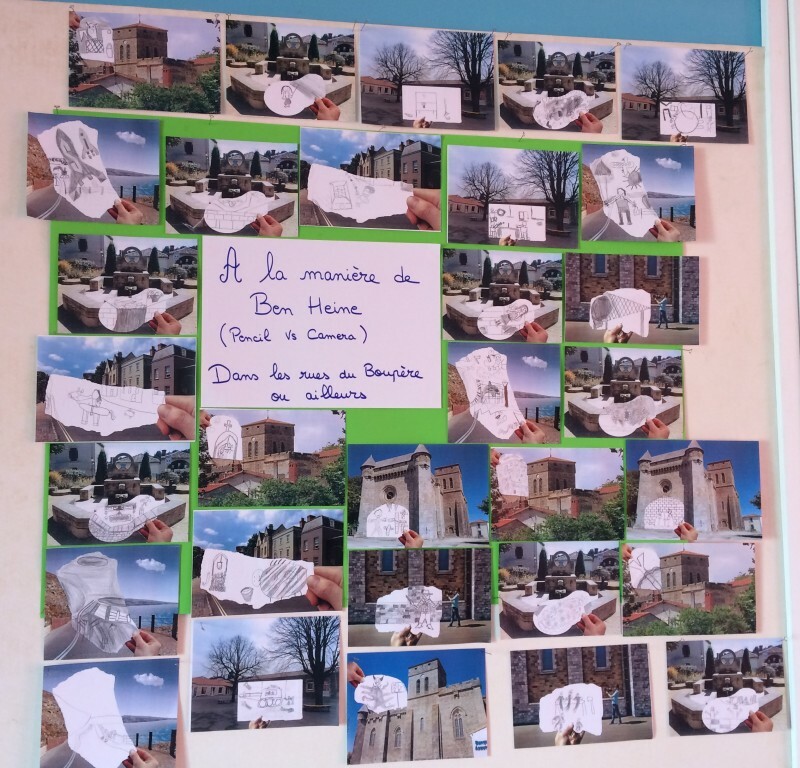 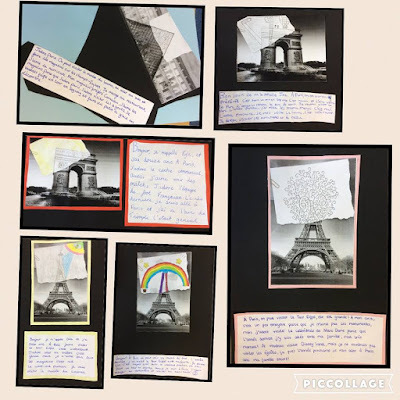 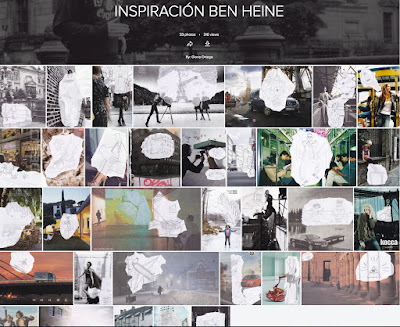 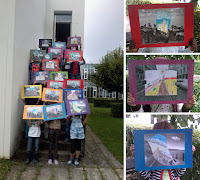 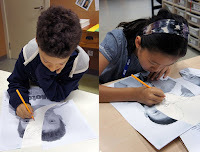 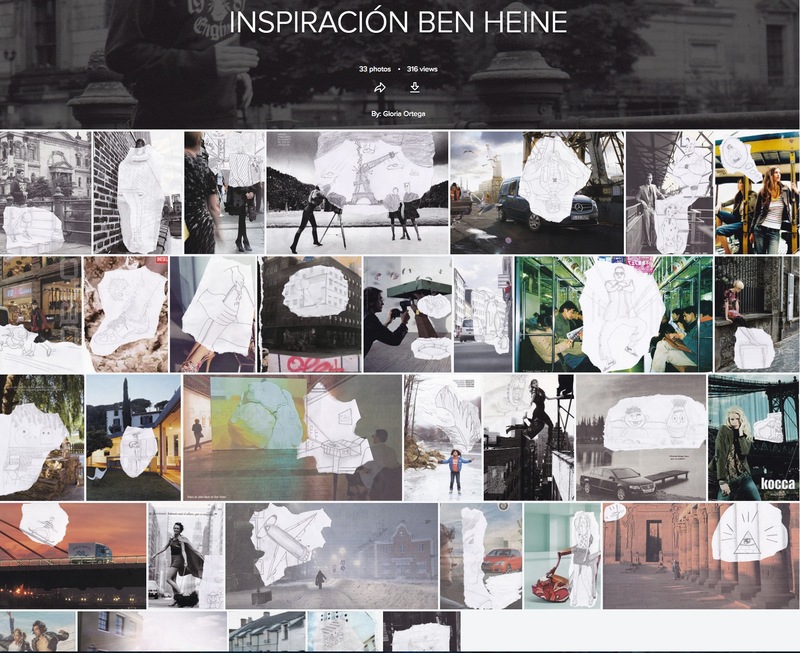 They are showing them Heine's creative process through pedagogical worksheets and ask students to do similar images to stimulate their imagination, train their drawing and photography skills, encourage them to use new technologies and motivate them to share ideas and communicate. Heine's work also allows teachers to discuss the differences between observational and imaginative drawing with the art class. 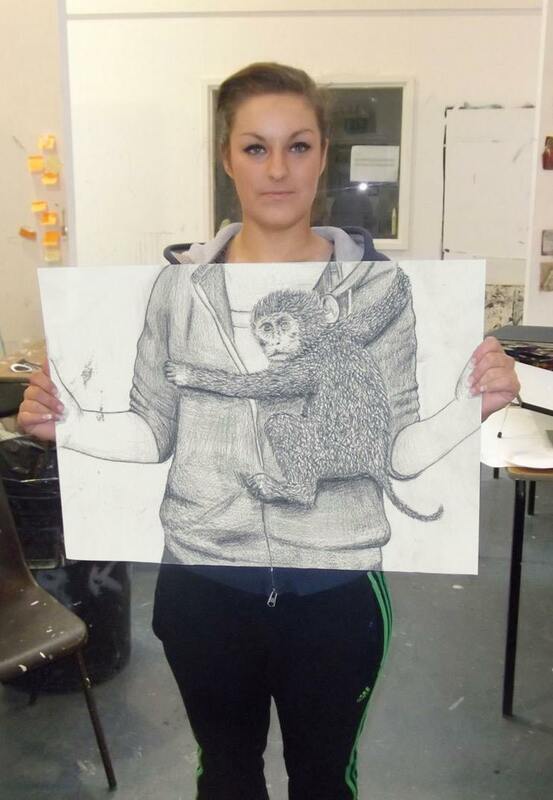 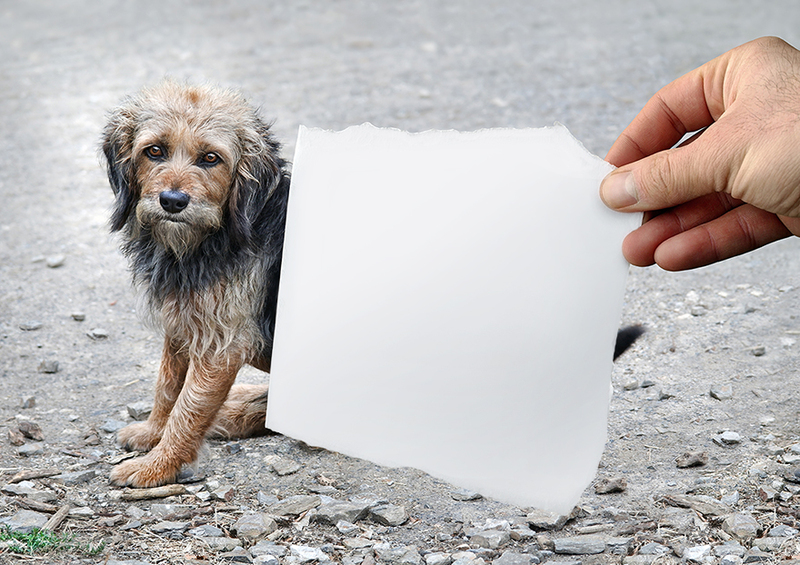 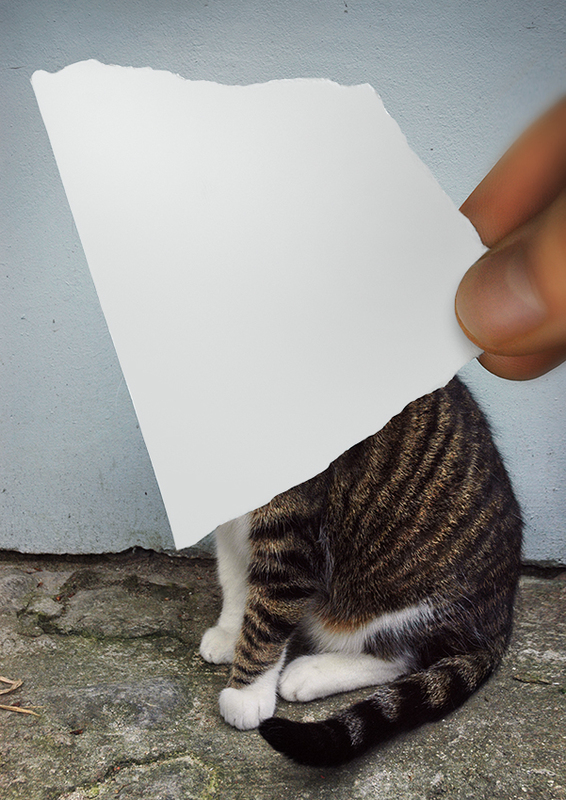 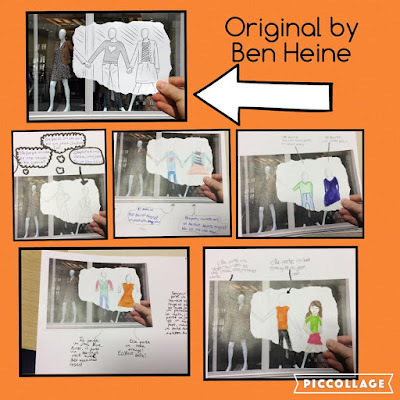 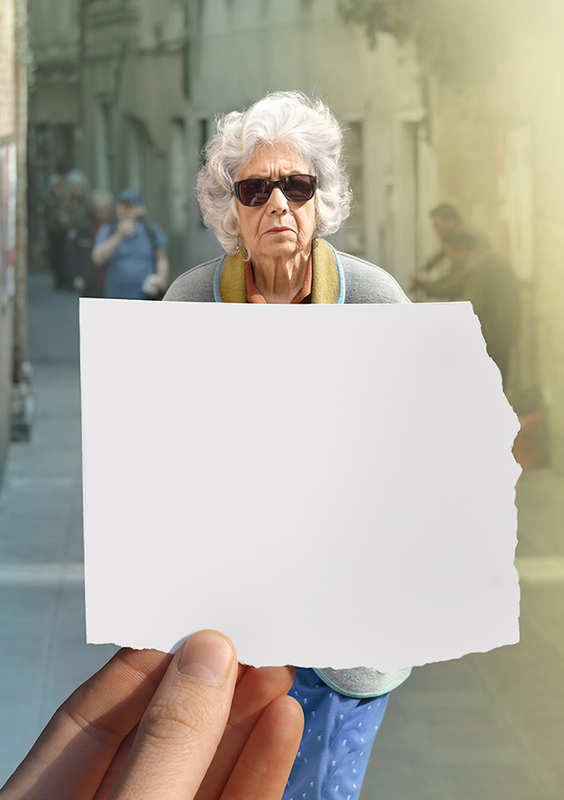 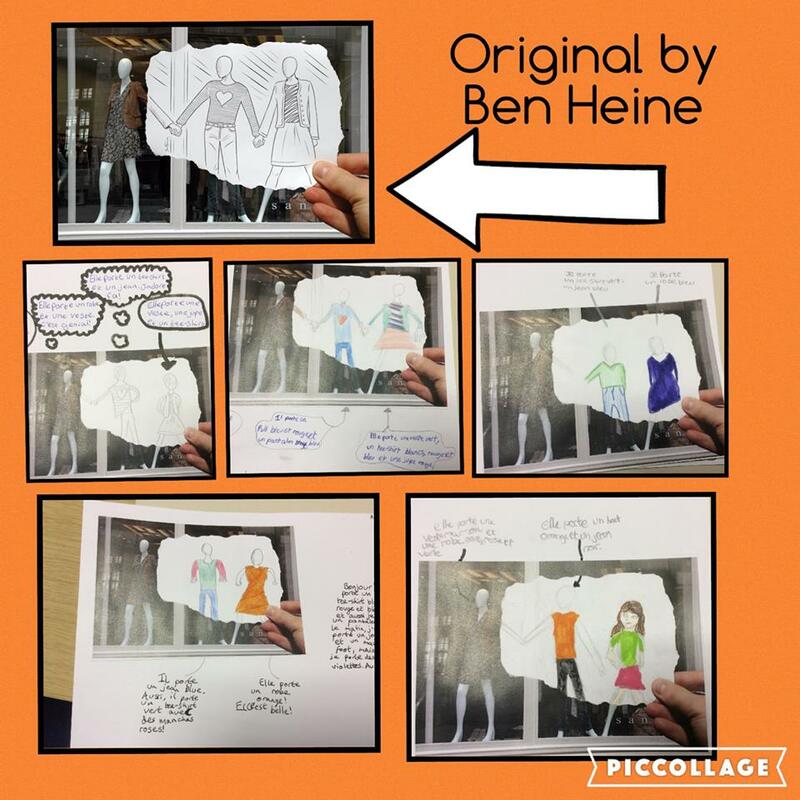 The students either create their own artworks from scratch or use Heine's images with the sketch removed to have something to start with (see below). 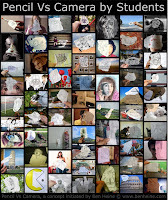 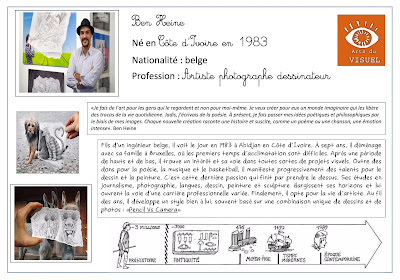 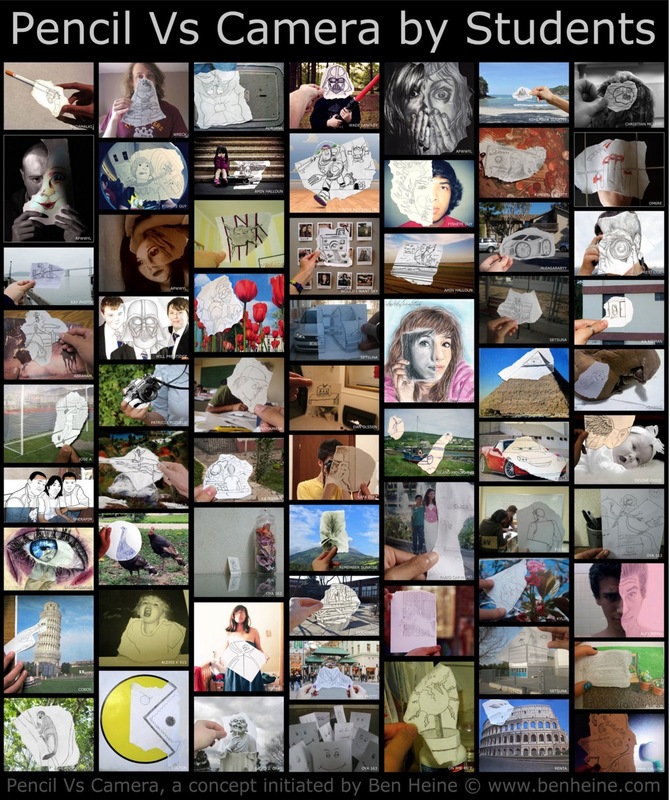 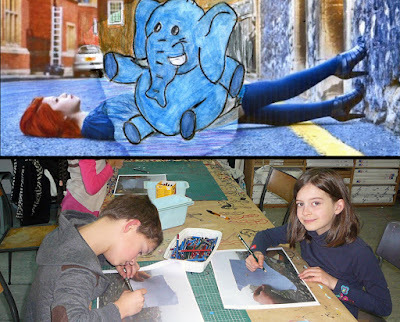 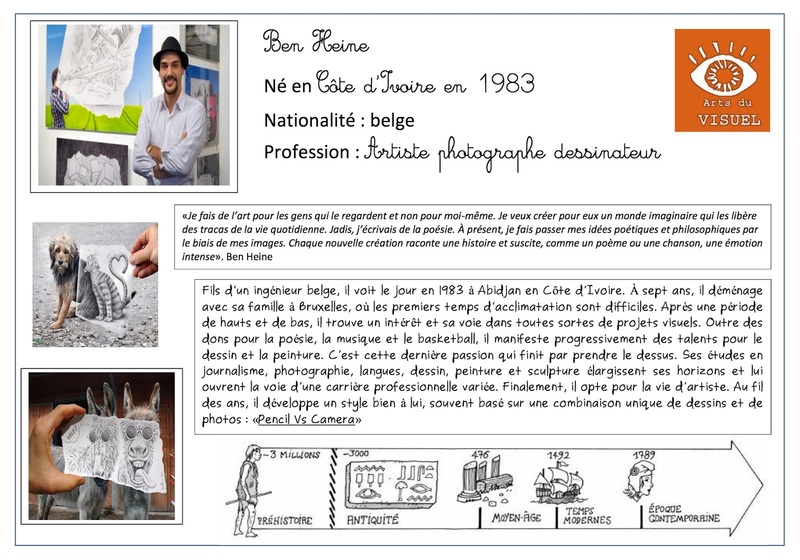 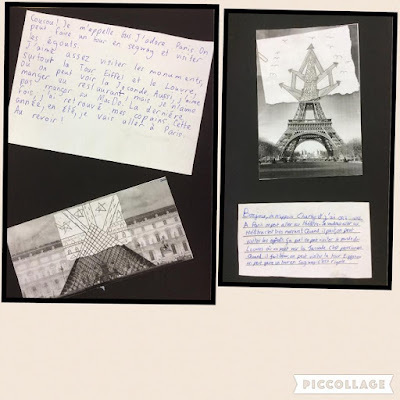 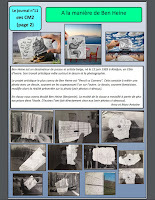 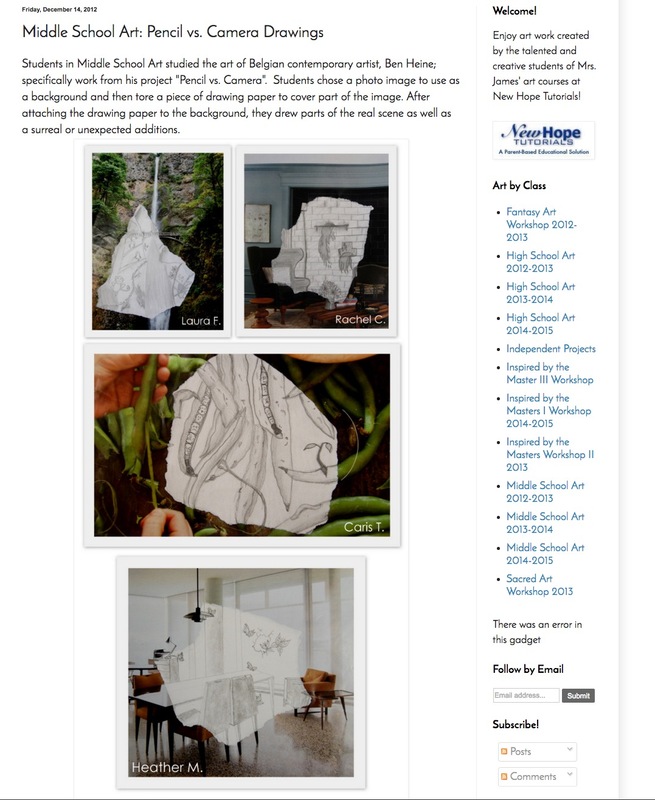 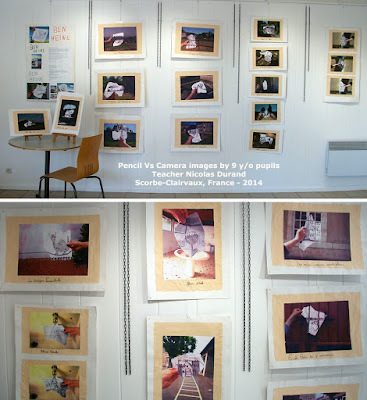 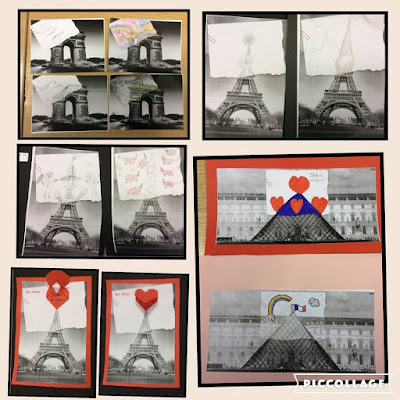 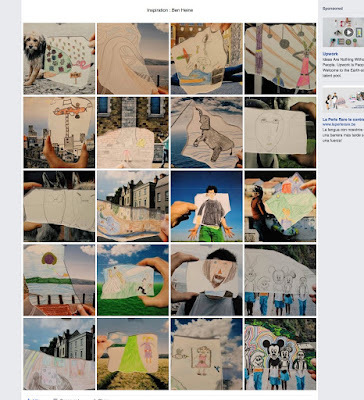 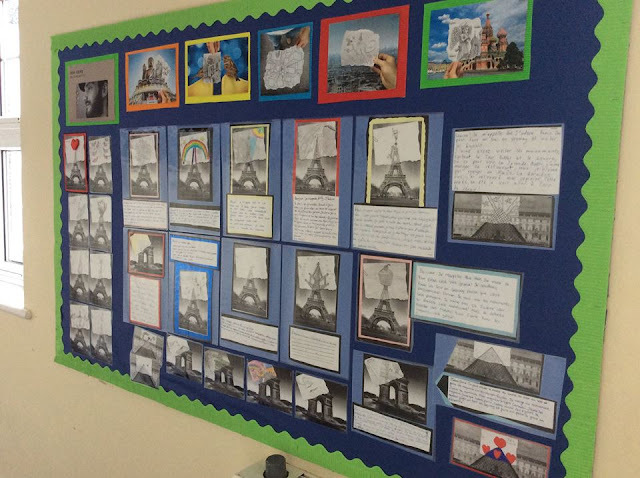 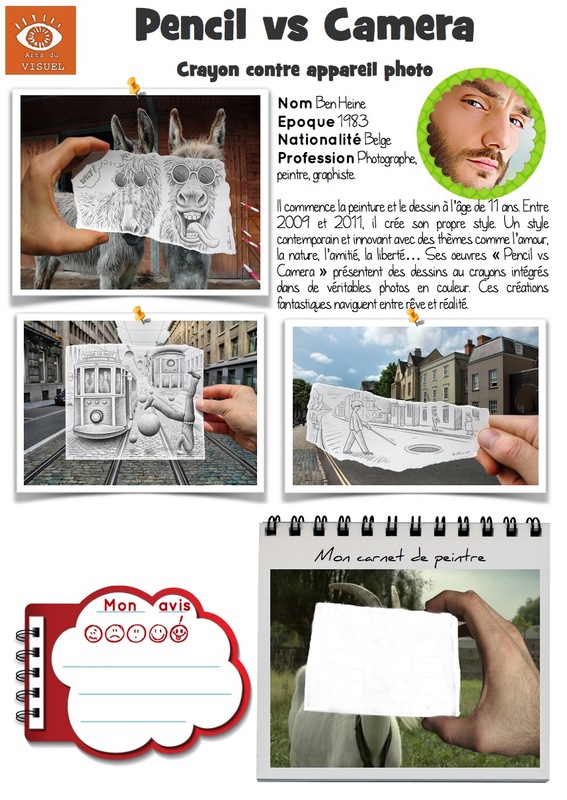 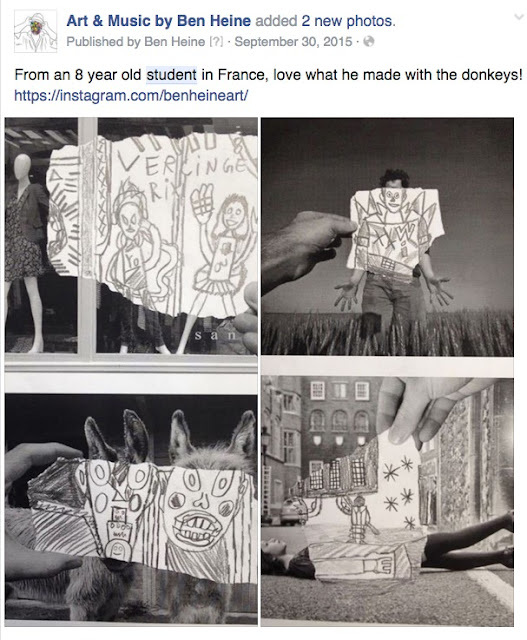 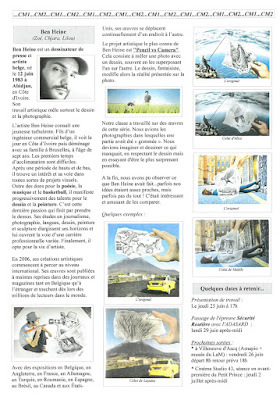 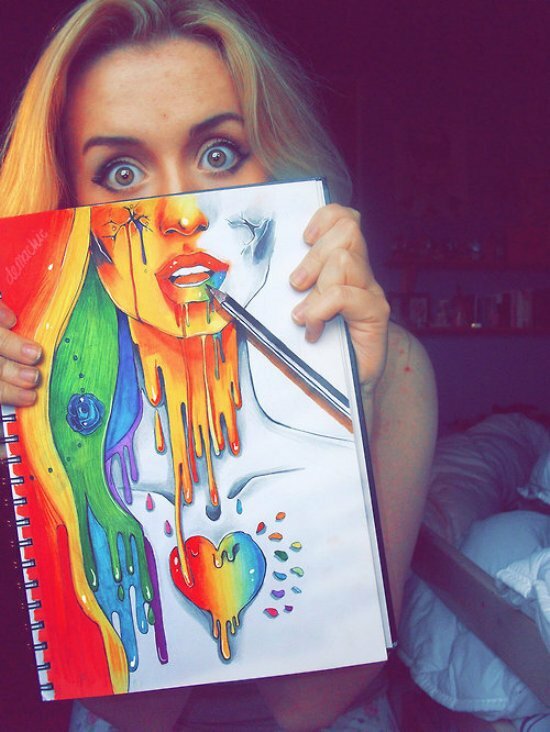 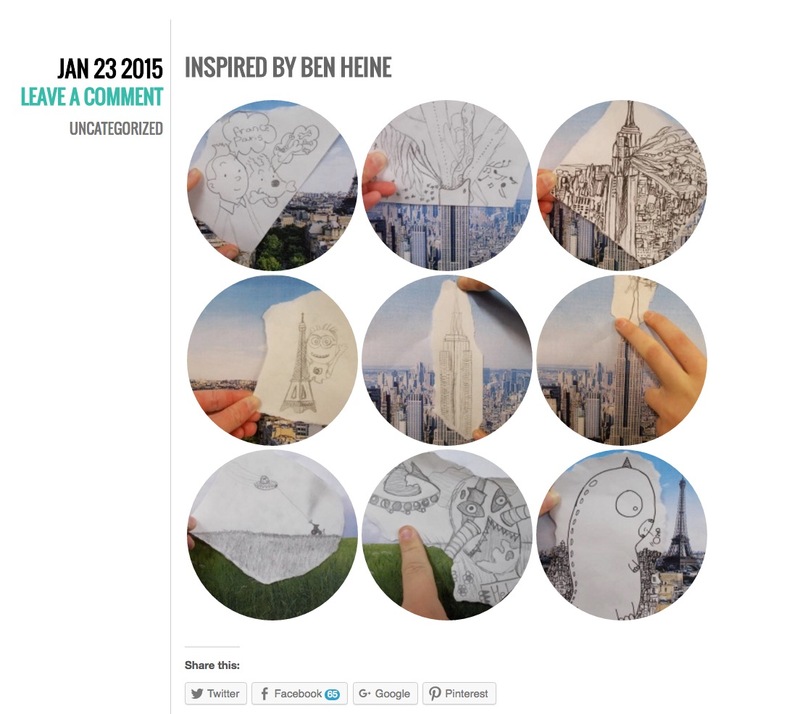 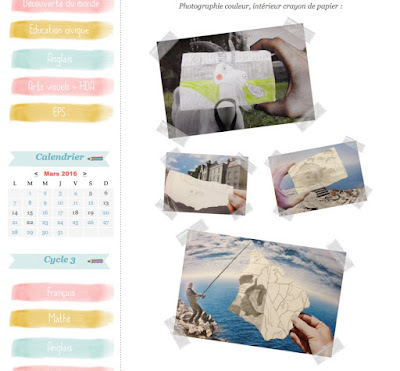 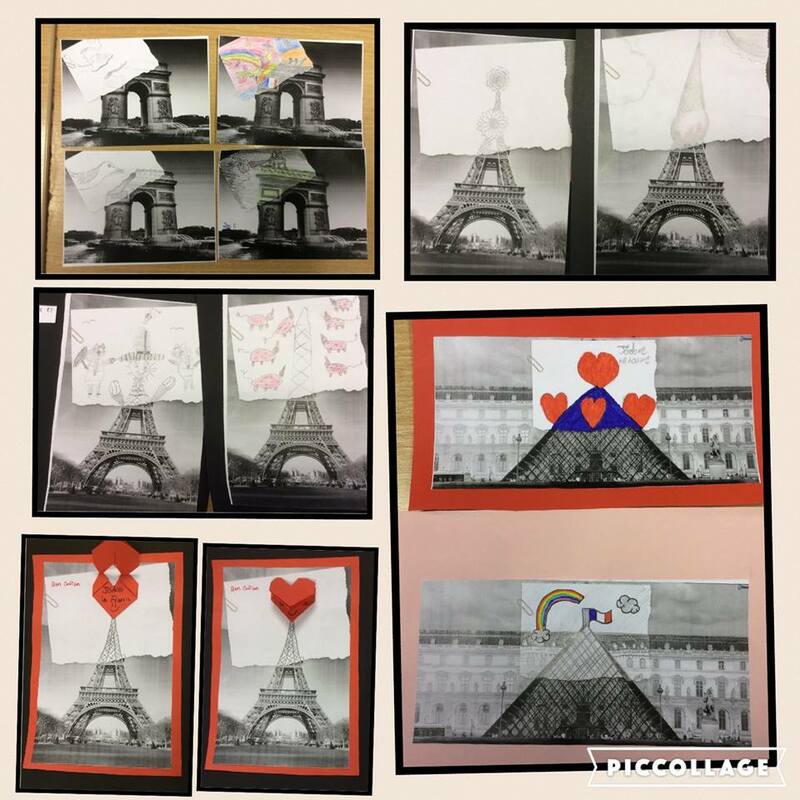 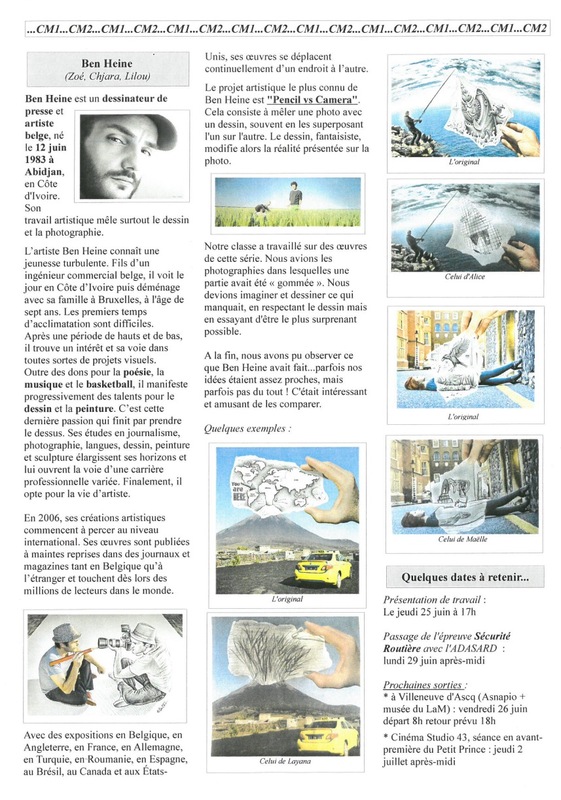 Since Heine's creative techniques became part of art lessons in many primary and secondary schools, different art lesson plans giving instructions on how to use his concept are spread by schools and art teachers on the Internet in France and in the United Kingdom (see some examples below). 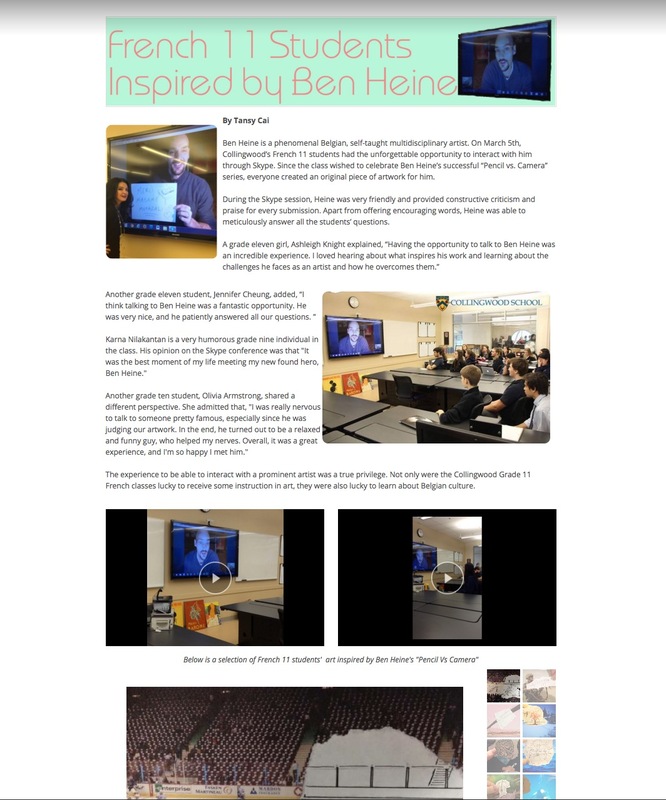 Heine has also given frequent interactive conferences to schools in Canada. 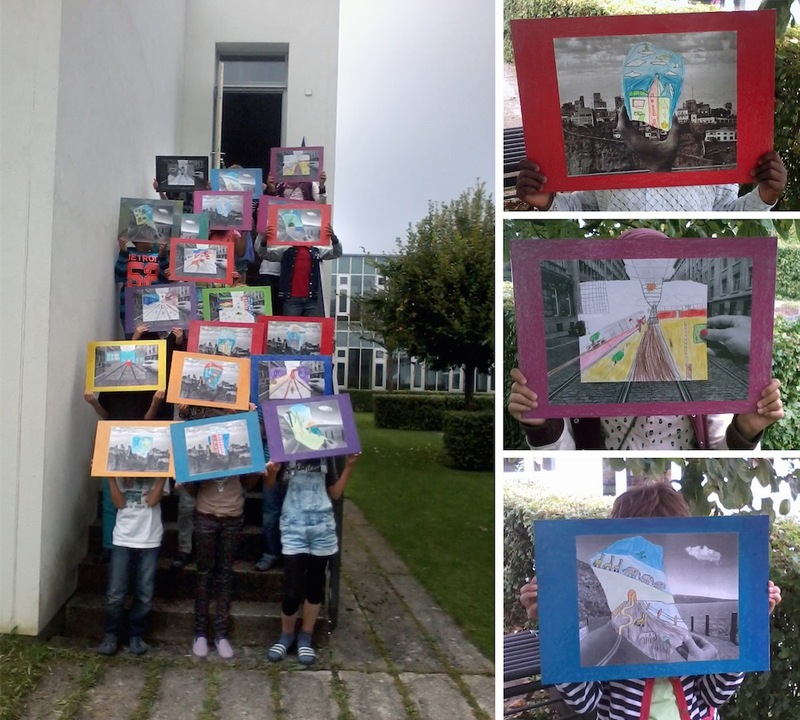 In June 2014, one of the classes studying Heine's concept in Belgium (Katholieke Centrumschool Denderleeuw) visited his studio in Rochefort (more info). 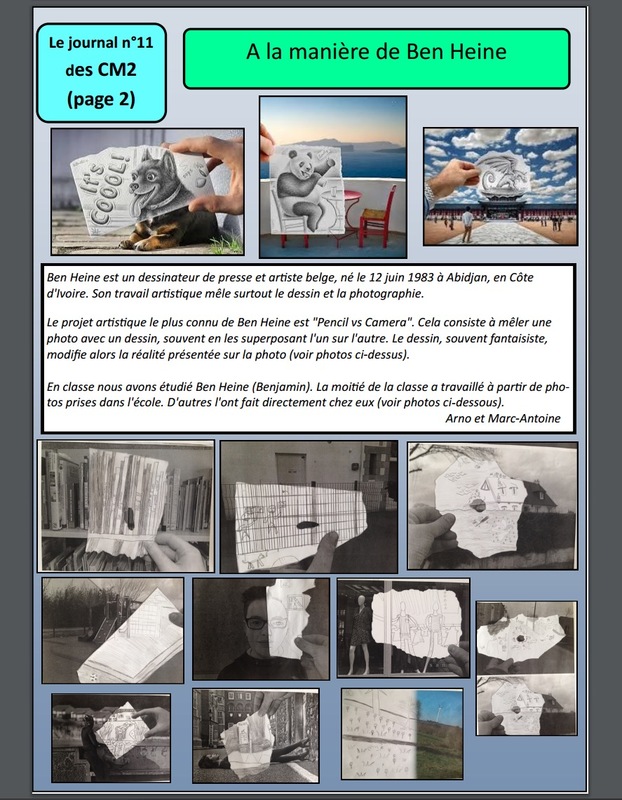 Here below in red are some lesson plans examples based on Ben Heine concept for primary and secondary schools, followed by links showing applications in art classes in the UK, France and Canada (this is a selection, there are numerous other examples in French schools). If you're an art teacher, feel free to use or improve this material for educative purposes.